We have the right Sign Language Interpreter in NYC to help you communicate with Deaf or Hard of Hearing Client? We have assisted hundreds of thousand of satisfied clients find an NYC Sign language Intepreter in New York. MEJ can help you get access to a professional Sign language Interpreter to help you establish effective clear communication during your events both scheduled and emergency related needs for Sign language interpreting services. Making the right match with respect to the Interpreters and the Deaf or Hard of Hearing client is a skill we have mastered. Our Sign language division offers you On demand access screened Sign language Interpreters that are familiar with medical, business and legal terminology, Tactile/Deaf-Blind, Signed Exact English (SEE), Manually Coded English (MCE),Pidgin Signed English (PSE), Interpretation, Cued Speech and Oral Transliteration services. We will work with to you to find the right Sign Language interpreter or Team for your event or function. Call 212-426-6017 to get a Free quote for or your event or click on the link below to use our on-line request form. We are available 24 hours a day for emergency requests. 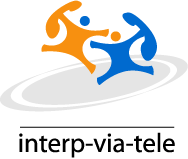 Just remember no Sign language interpreting project is considered to small or complicated; we will work with you to develop a cost effective interpreting solution to meet your personal or organizations needs for dependable quality interpreting assistance. I would like to thank you so much for helping me finding an interpreter for the Joel Osteen event last night, and I really appreciate your help and time so much. The interpreters were excellent and accurate to every word that was spoken at the event. If there is an event in the future, I will be sure to contact you. Thank you so much, and may you enjoy a nice weekend. Take care! MEJ Serves the Deaf and Hard of Hearing community of one the worlds largest culturally diverse cities, We have the expertise to address your agencies ,department ,events or personal need for professional sign language interpreting services. We have experience addressing the multilingual needs New York City Agencies. Use the Agency that New York City Trust to provide sign language interpreting services for it's Deaf and Hard of Hearing Citizens. The shortage of Sign Language interpreters coupled with the increased demand for certified experienced sign language interpreters in area's such Legal ,Education and Medical has placed some stress on Interpreting service providers nationwide. Despite the pressures of the marketplace MEJ remains committed to providing it's customers with the highest level of customer service possible. We realized our Deaf and Hard of Hearing clients have varying needs and will endeavor to provide certified and qualified interpreters for all request for that matches the needs of the consumer. Our philosophy focuses on customer satisfaction and the establishment of effective communication. We pay attention to detail and convey concepts in a graphical manner that yields satisfactory results. Each request for service is assessed according to the special needs of the customers, the type of interpreting needed and the environment in which the service is to be rendered. After evaluating the specific needs of a service request, we will assign an sign language interpreter with the necessary skills to achieve effective communication. All of our sign language interpreters are bound by the Interpreter's Professional Code of Conduct and by corporate policies created to observe and protect the client’s confidentiality rights while ensuring that the highest quality of interpreting services is rendered. We are committed to constructing and maintaining friendly environments for the Deaf and Hard of Hearing community. Our management team will work closely with you to develop a cost-effective solution that addresses your needs for sign language interpreting services.